In a digital realm, we are beginning to see a gradual decline of in-store touch points as businesses switch focus to e-commerce and the online experience. Billions of products are purchased daily, packaged up in boxes and shipped to customers worldwide. The truth for the majority of businesses is that there is little thought given to the offline experience once the transaction has been made. Shipping usually involves the standard cardboard box, sealed with some clear tape, slapped with an address sticker and sent on it's way to the customer. This seemingly insignificant process is actually one of the most under-utilised opportunities that can enhance a customer experience. This missed opportunity is a branded packaging experience. A process that places the customer at the center, focusing on how they will interact with the product once it is delivered. This covers how the physical box will look, how the product will be presented within it, yet most importantly how the customer experience can be enhanced at these touch points. It is a chance to surprise a customer, creating an emotional connection, in turn encouraging them to remember and come back for more. We all know the look of envy experienced when a colleague receives a package in the office. Everyone quickly turns to wonder what jewels are hidden within the parcel. A branded packaging experience takes this delight to a new level. It becomes a memorable experience they want to share, helping a business achieve a competitive advantage. 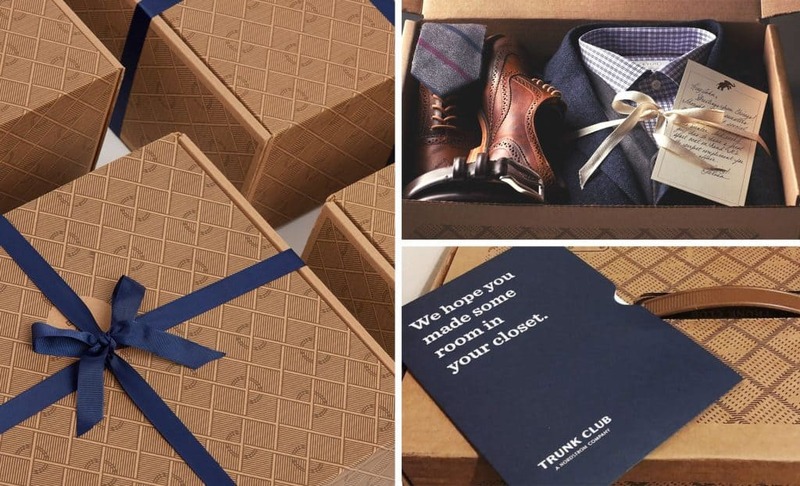 Trunk Club is an example of a business utilising these ideas. 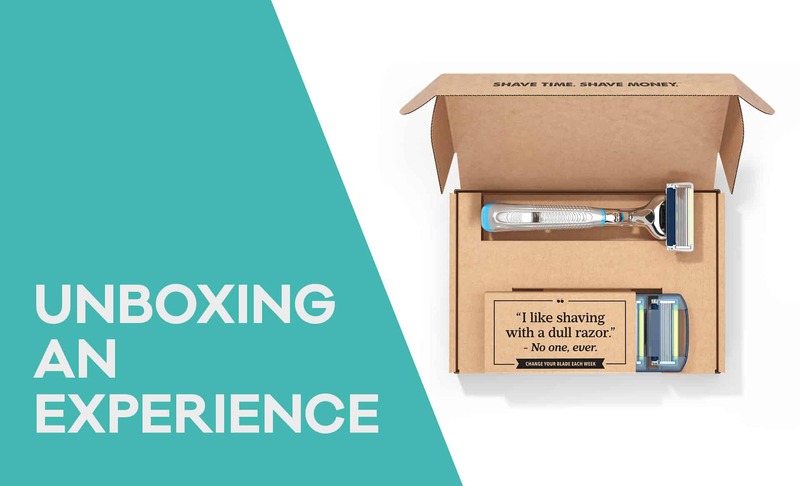 This online retailer uses custom branded boxes, making their products instantly recognisable upon delivery. Open these up and their products are wrapped and arranged so well that it instantly makes the customer feel like they have pulled a present from a high-end store shelf. Complete with a personalised note and well thought messaging, there is a reason why 'Trunk Club Unboxing’ has thousands of photos, videos and blogs from happy customers experiences. This online movement acts as free advertising, the packaging has encouraged social sharing to successfully build brand awareness. 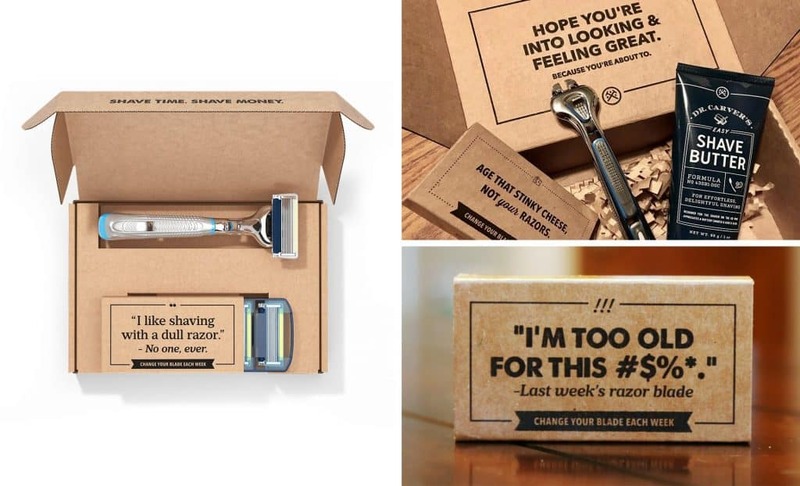 Another brand successfully tapping into the idea is Dollar Shave Club. Whilst these boxes don’t look unique from the outside, once opened, products are perfectly encased and ready to shine. Clever messaging is right on brand and guaranteed to cause a chuckle. Whilst a customer could pick up a razor for much less, it's this added relatable witty humour that creates an important emotive connection. Emotion = memorability and is statistically proven to encourage brand loyalty. Teamed with the handcrafted feel, this packaging experience aims to make customers feel that little bit special. With over 10,800 Youtubers filming their experience, they are certainly doing something right. 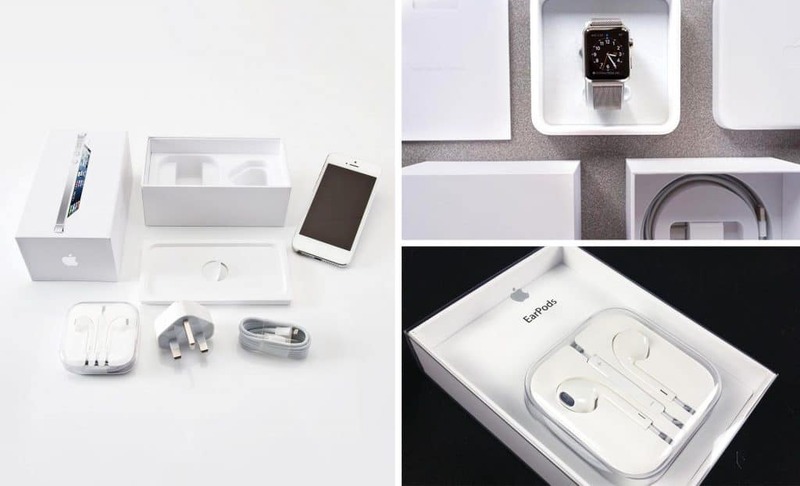 We couldn't talk about a successful packaging experience without mentioning Apple. Apple is a master in the packaging experience, fit with a team devoted to opening hundreds of boxes. As Apple's senior vice president, Jonathan Ive, of industrial design explains "You design a ritual of unpacking to make the product feel special. Packaging can be theatre, it can create a story." This story remains true to brand, whilst putting the customer at the forefront. Apple never undervalues the experience, through addressing customer pain points they ensure they deliver delight at each step. Structured boxing guides the customer through the process, from product to instructions to peripherals, every decision is planned. Never leaving a customer to think 'how do I?, every step aims to make their life easier, just like all Apple products. Packaging is as visually appealing as the product itself, with as much detail focused on the inexpensive 'small stuff' as to the sought after product itself. The minimalistic style offers a welcome break from the sensory overloaded worlds we all live, creating an iconic sensory experience. This sensory experience, a story true to brand and the ability to make us all feel special is why their packaging is so easy to recall. There is still room to explore branded packaging design without a huge budget or a devoted team for unboxing. 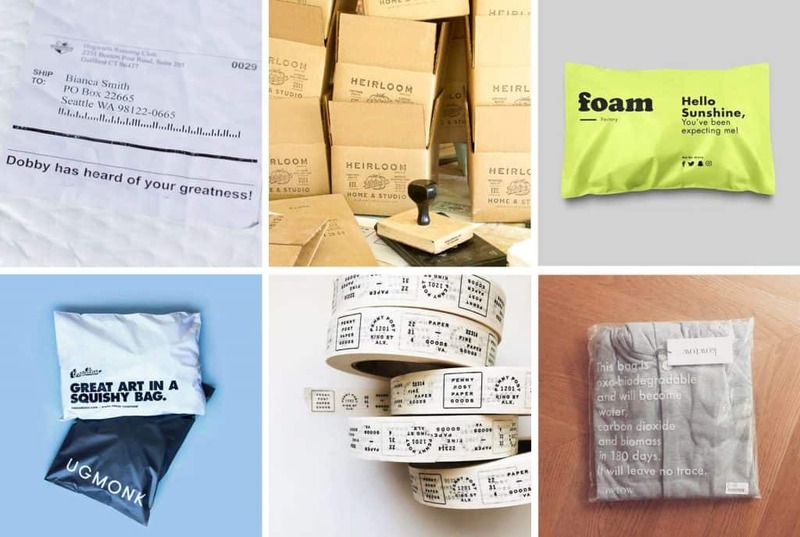 Below are examples of how companies are taking the branded packaging experience and tailoring it to suit their business. This may be through the use of clever messaging, personalised packaging tape or rubber stamps. The Hogwarts Running Club is a non-profit fan-based running club that has incorporated a subtle message for fans “Dobby has heard of your greatness!”- a simple way to bring a smile and encourage social sharing. A custom note might remind a customer of a company with real people, whilst a small sample might introduce a customer to similar products, encouraging future purchases. There are also cost-effective options such as promotional inserts to refer a friend or an offer for a discount on future purchases. Overall it's about tailoring the experience to suit your brand and finding a way to add value for the customer. In today’s world it is more important than ever to question the norm and find new approaches to stand out from the crowd. These simple opportunities are a chance to stop customers in their tracks and think ‘wow, I haven’t seen that before’, instantly making your brand memorable. Ensuring thought goes into the experience is a way to build an emotive connection with a customer, making them want to come back for more. These insights offer a simple way to elevate a brand above others. 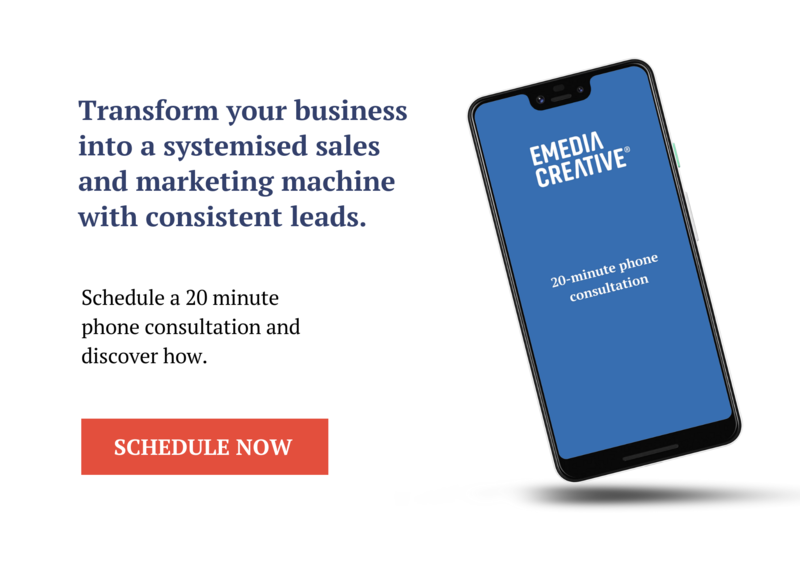 If you need experience in creating an experience contact Emedia Creative today.